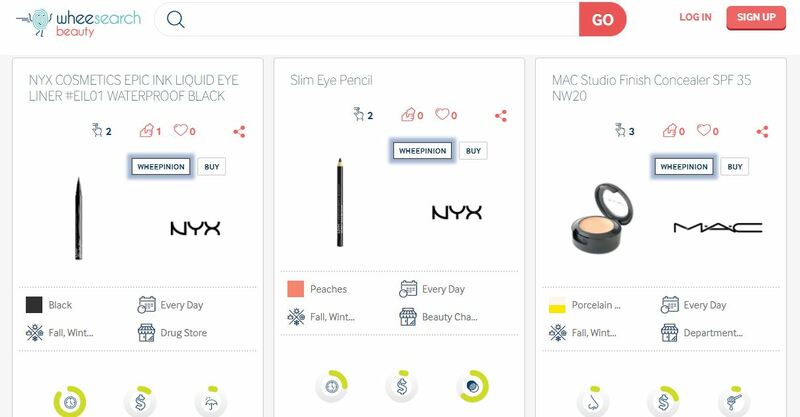 REDWOOD CITY, Calif. -- Wheesearch, a disruptive beauty platform, launched today, introducing shoppers to a new way of identifying the best makeup products for their specific needs and preferences. By connecting beauty vloggers and beauty fans, Wheesearch provides users with personalized makeup recommendations to help them be their most bold, brilliant, beautiful selves. 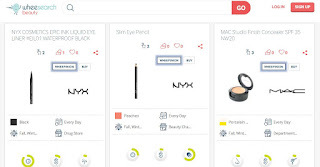 Wheesearch merges beauty vlogger videos and community-rated feedback to give users an in-depth look at specific beauty products, making it easy for shoppers to identify the best products for their complexion, sensitivities, and preferences. Users can search on Wheesearch for a product type – or a particular product – and can refine their search results using a range of beauty-oriented filters including: coverage, smoothness, ease of application, smell, and shine, among many others. “Our back-end technology draws on information customers share about themselves to show them products – and accompanying vlogger videos – that would work well for them. Personalization is part of the DNA at Wheesearch,” said Wheesearch CTO Chandra Nagaraja. In addition to making it easier to shop for makeup, Wheesearch aims to encourage responsible shopping and reduce the amount of waste that gets added to landfills each year in the form of unwanted makeup products. Wheesearch was created by a team of multinationals with combined decades of experience in the technology and consumer product worlds. The company’s mission is to provide a user-friendly platform that can help people find the perfect beauty products to meet their needs, while also benefitting the environment and saving shoppers money and time. Additionally, by helping shoppers to realize the power of finding the makeup that works best for them, Wheesearch is creating a community that celebrates universal beauty. Additional information about Wheesearch is available at www.wheesearch.com.